Los Altos pulled off the shocking upset victory 17-14 over West Covina. West Covina had never lost in Hacienda League play before this game. Two of the top teams in Southern California competed in a classic non-league matchup. Tesoro won 17-14 over Chaparral on a last second drive. THOUSAND OAKS – Something had to give. Thousand Oaks’ quarterback Clark Abourisk had been averaging more than 270 passing yards a game, while the West Ranch defense had only allowed less than 145 yards through the air. 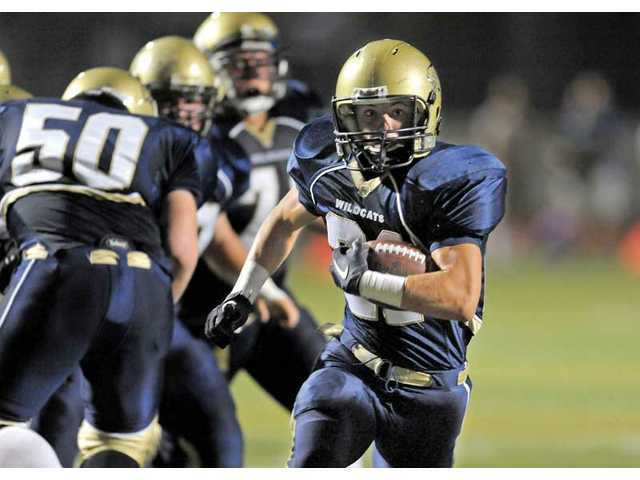 Coming off a 24-point fourth quarter meltdown last week, the disappointment continued for the Wildcats as the Lancer aerial assault imposed its will in route to a 28-10 win on Friday night at Lancer stadium. Ten was the magic number for Thousand Oaks in the first half, finishing three consecutive 10-play touchdown drives to jump out to a 21-7 lead. Abourisk hit Nick Julier on a 24-yard screen pass for the first score of the game. 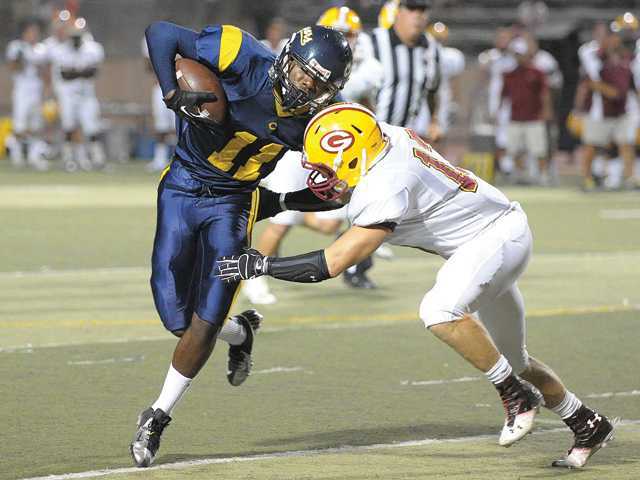 SANTA CLARITA – The College of the Canyons football team suffered another heartbreaking 50-34 setback to No. 10 Saddleback College on Saturday night at Cougar Stadium. Coming off of its first losing season in 32 years, the disappointment continued as the Cougars who led most of the way through three quarters, saw their lead vanish with interceptions and blocked punts. Vista Murrieta proved why it’s a top 25 team in the nation with a dominant 49-8 victory against South.